The St. Louis Browns is one of those Major League Baseball teams that now exist only in the records books and in the memories of fans. This is a rare piece of baseball memorabilia that only a real fan of the game or serious collector could value. 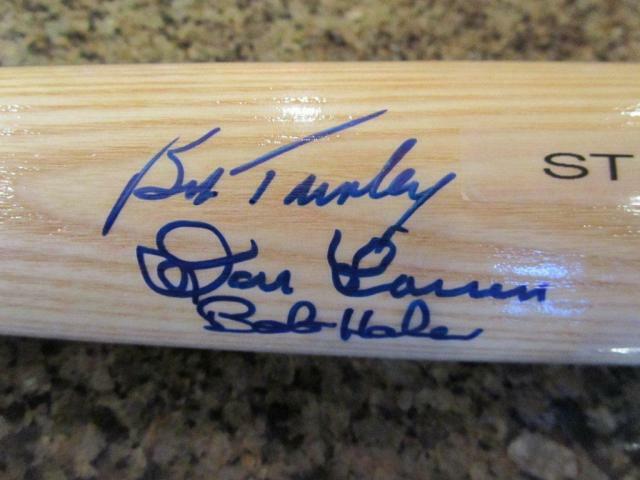 This is a Rawlings Professional Model Big Stick Bat autographed by three members of the St. Louis Browns - Don Larsen, Bob Turley and Bob Hale. Turley played for the Browns from 1951 to 1953, Larsen in 1953 and Hale played in the Browns minor league system before being called up to the Baltimore Orioles. This very unique piece includes Certificates of Authenticity from both James Spence Authentication and Professional Sports Authenticators. Because this is a one-of-a-kind piece we must charge your credit card for the full price immediately upon taking your order. This will ensure we reserve the bat for you. We will confirm your order by Email. This bat is not game used. 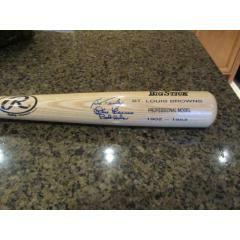 This bat is in stock now and ready to ship. 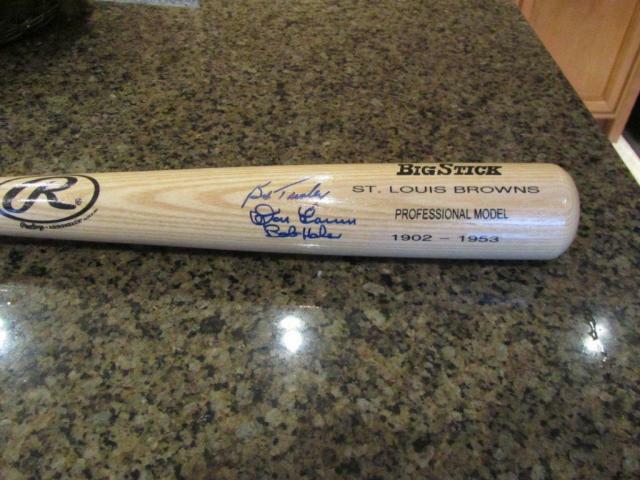 St. Louis Browns Autographed Bat - 3 Signatures $395.00 Sold Out!